I had the opportunity to visit Nepal this November, and in my capacity as a new member of the Enterprise Development Programme (EDP) Board, was privileged to spend a day with the Oxfam team in Kathmandu. I was eager to meet the team and gain first-hand experience of the type of projects EDP is funding in Nepal. Allowing plenty of time to reach the office in the challenging Kathmandu traffic, I arrived around 9.30am and was greeted by Prakash Subedi, who leads the EDP team. I was introduced to his colleagues Swikriti and Bhim and we had an introductory discussion with Mahendra Narayan Mahato, head of the Food Security and Livelihood Programme, into which EDP reports. Prakash and I then departed for a first meeting with the Chaudhary Foundation, a charity run by Nepal’s largest corporate. 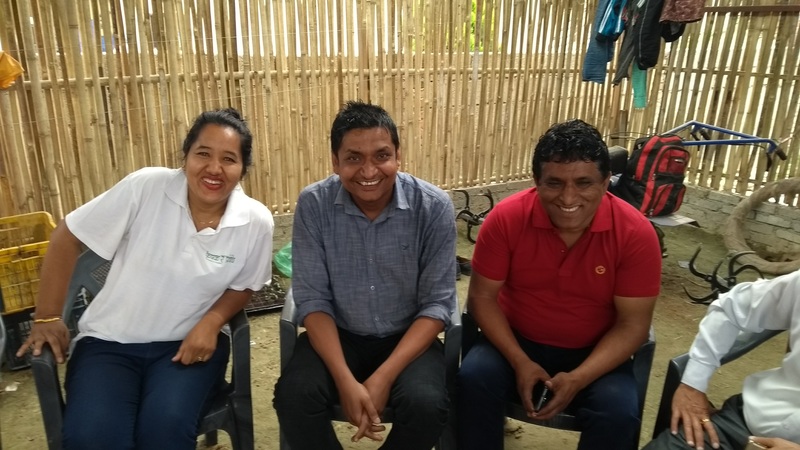 Sunita (left) with her husband Dambar (centre), and a greenhouse / polytunnel contractor. I was keen to hear what priorities this very well-connected local player had identified, and if there was potential for cooperation with EDP or Oxfam more broadly. The Foundation’s key areas of focus are health and sanitation, livelihoods (enabling people to support themselves, and earn a living), heritage and spiritual development, and disaster relief; it mainly targets rural communities, with a special focus on women. It also runs a social enterprise arm, Nepal Social Business, which gives smaller grants than EDP using a slightly different model. We had a fascinating discussion, with highlights including women’s empowerment, health issues and rural livelihoods. We also discussed potential cooperation in the urban space and the most effective models to follow within social enterprise investing. After a delicious traditional Nepali lunch on the roof of the Oxfam office, Swikriti and I headed off to meet the entrepreneur behind one of EDP’s latest investments, R&D. Sunita Nhemaphuki is a Nepalese lady with a background in marketing, who previously lived in Singapore with her IT engineer husband. Experiencing first-hand just how difficult life has been for her mother, a poor farmer, inspired Sunita to found R&D. Women working in agriculture routinely suffer serious health problems from carrying heavy loads, as well as financial insecurity. The company’s core purpose is to provide technical information and assistance to farmers through a magazine, and it has also opened a small chain of supermarkets selling farm products. 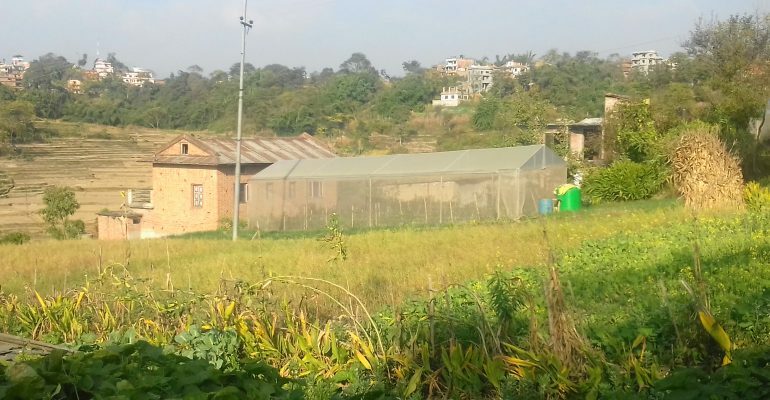 However, the investment that EDP is making into the network of resource centres will allow R&D to supply small farmers living close to Kathmandu with polytunnels, and the training required to use them to produce a varied year-round supply of vegetables. Inside a polytunnel, where the produce is flourishing. 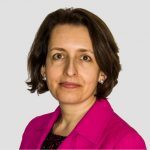 R&D has set up a collection point close to the farmers’ homes to reduce the time they spend taking produce to market, and will pay them a stable rate to enable easier financial planning. The company has identified the B2B (business-to-business) market (restaurants and other catering operations) as a suitable channel through which to sell the produce. Most of the beneficiaries will be women whose husbands are working away from home, and for whom this new activity will mean a significant source of much-needed income – allowing them to invest more time and resources in their children. Sunita’s enthusiasm and passion for the business were infectious and inspiring, and she was full of new ideas as to how to take it forward. We then drove off to the west of Kathmandu, soon leaving the paved road for rutted tracks. Housing became less dense with each small home having fields around or in front of it. Arriving at our destination, we walked past two men repairing a mattress by hand on the ground, a large crowd watching their progress, and rice drying everywhere on tarpaulins by the sides of the path. We went into the resource centre where produce brought in is weighed, technical advice given and sales from each farmer recorded. There was also a demonstration polytunnel showing a range of crops – such as chilies, tomatoes and aubergines – being grown. On average, these vegetables are producing Rs13,000 (~£95) in revenues for the agro-entrepreneurs over the past four months in comparison to the Rs3,000 (~£22) they would have made in the past selling rice. There are still some questions about irrigation, and new cultivation techniques. Walking up the hillside, we went into several other polytunnels, which R&D encourages farmers to build close to their houses to minimise time spent carrying water. We spent quite a long time in one in particular, which we reached through a small courtyard where a girl was sitting cross-legged with her schoolbooks. We spoke with her mother, who has several terraces of rice and other crops as well as the polytunnel. 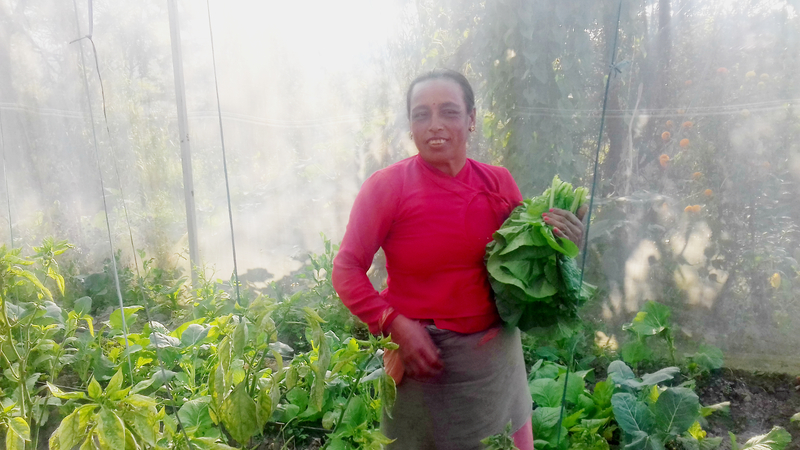 Though the vegetables were flourishing, she had quite a lively debate with the R&D officer about the amount of irrigation needed, the difficulty of learning new cultivation routines and the time taken to convert the crops into cash. She has only been using the polytunnel for a few months and is taking some time to adjust. Her situation, given she has more land than some of the others, is also more favourable and she is probably seeing a less dramatic change in her circumstances than her less fortunate peers as a result. However, the image that will stay with me is that of her daughter, doing her homework outside in the farmyard. On our way out, I peered over at the schoolbooks and saw the girl was writing in English, so I started talking to her. It turns out that she is in the third year of studying biochemistry. 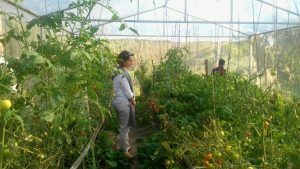 Let’s hope that her mother gets over the initial teething troubles with the polytunnel and it produces a new, reliable source of income for the family, so that her daughter can become a scientist or entrepreneur in her own right, following in Sunita’s footsteps. If you would like to be a part of the EDP, or just want to know more about it we would love to hear from you.